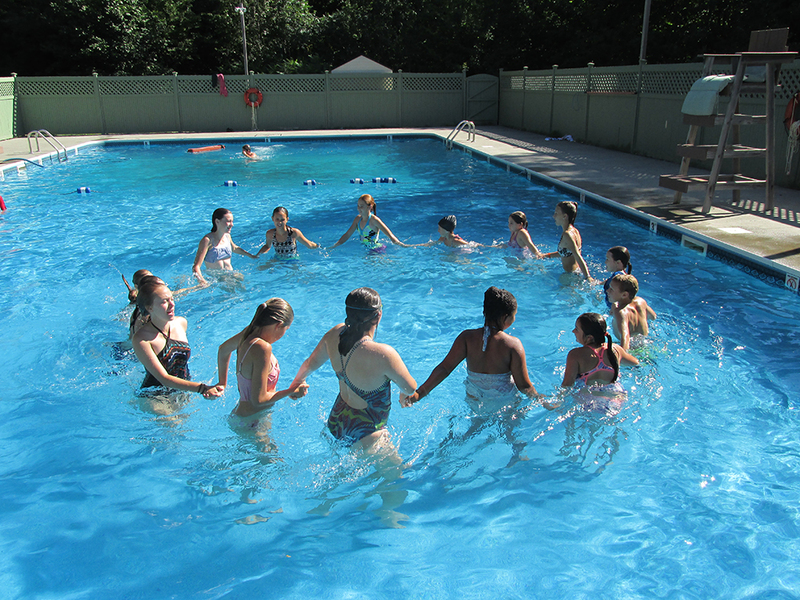 Water Aerobics is the perfect class for anyone who wants to have fun in the pool while getting a little exercise. 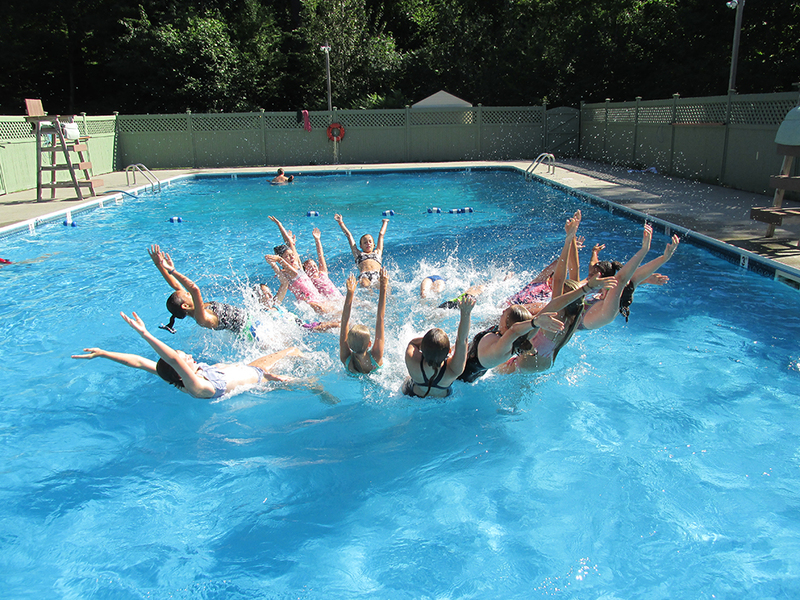 We turn up the music and modify land aerobics techniques for use in the shallow end of the pool. 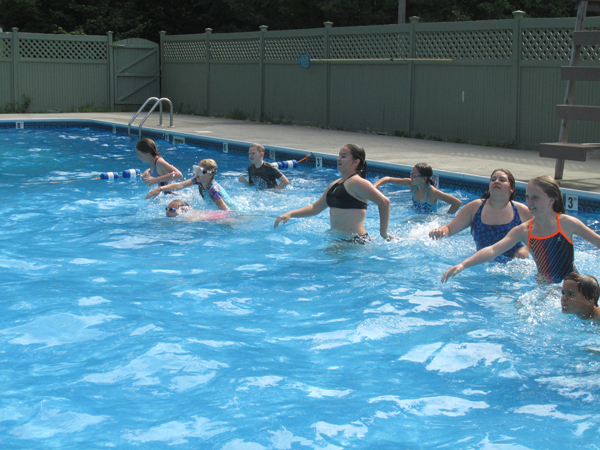 Some of the exercises include jumping jacks, the penguin, running, and the pogo stick. 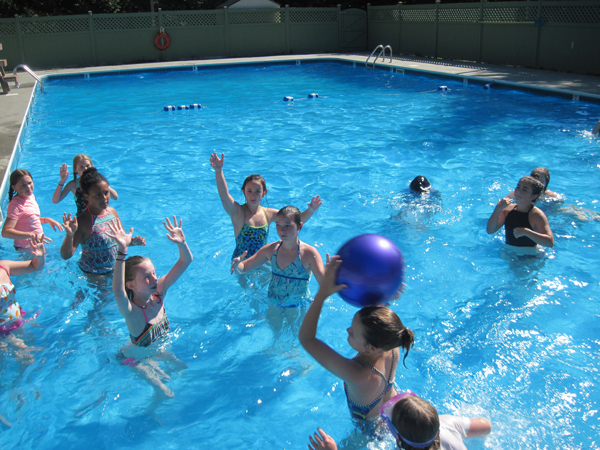 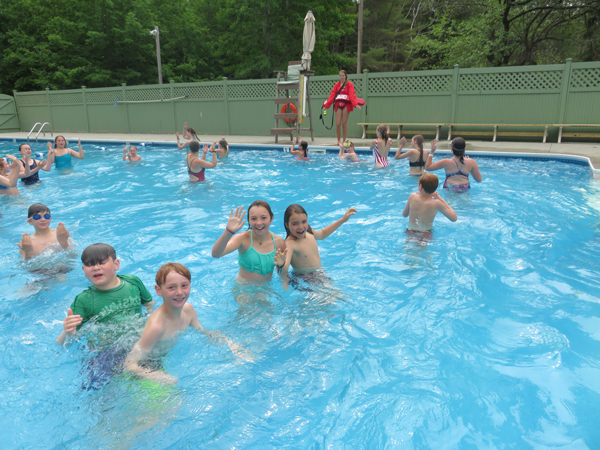 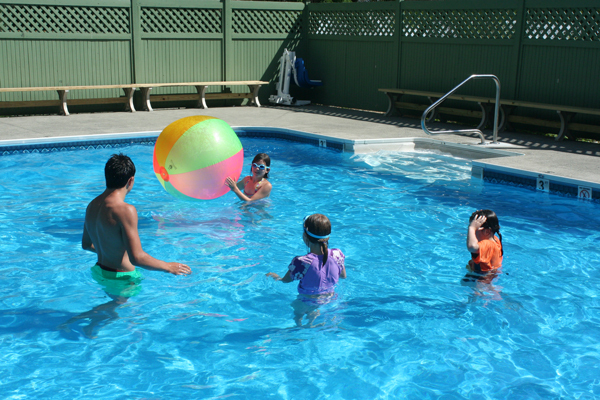 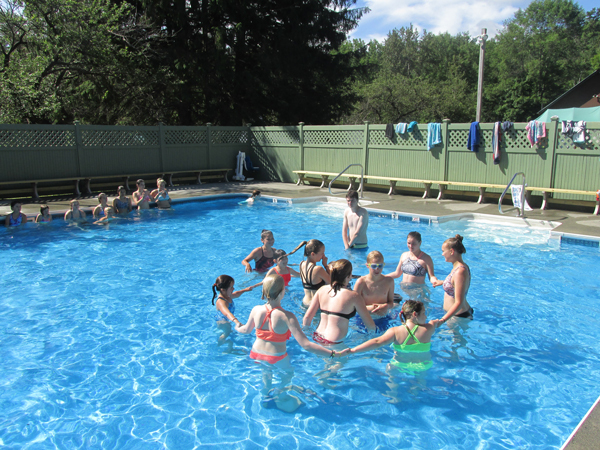 We finish every class with a game, like padollyball (water volleyball) or a dance party, so be sure to pack your bathing suit and come play in our pool!